The CSC Strengthlifting Summer MEAT is sanctioned by the United States Strengthlifting Federation. Competitors will be ranked and can qualify for the 2020 USSF Nationals. • When do I weigh in? For the safety of our competitors and in the name of fairness of competition, the USSF does not conduct weigh-ins. Weigh outs will be performed immediately following a lifters final attempt on the platform. • Are there commands? There are no commands. A lifter merely needs to demonstrate proper control and execution of the lifts as detailed in the rules linked above. • Is there a bench press? Unlike the sport of powerlifting, the USSF recognizes the press (overhead) in place of the bench press. • Can I perform the sumo variant of the deadlift? 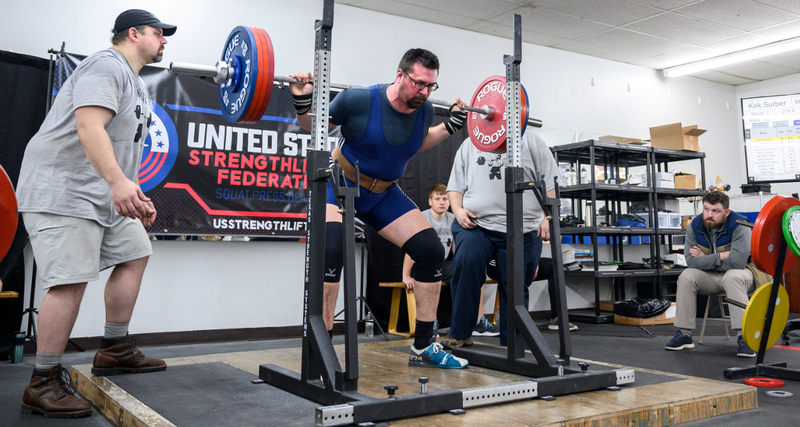 You are allowed to place your legs as wide as you wish, but in maintaining fairness of competition and assuring that all competitors perform the lift with similar mechanics, hands must remain outside of the legs while performing a deadlift. • I’m a novice.Can I still compete? A novice athlete or person who has never competed before is welcome and will be supported. This event is organized by Cambridge Strength and Conditioning.